In case this string is detected, shut down the computer. As this service comes up automatically, the system will be shut down immediately after coming up, so that users are practically locked out. The disadvantage of this solution is that users with administrator rights and the required knowledge will be able to remove the service. However, in many scenarios this will not be the case. You will need some kind of web page which is used to control the service / computer shutdown. This web page should contain a simple string only (no HTML, just text), which reads something like “OPEN” or “LOCK”. This page can reside on any server of your choice, but it could also be automatically generated by some simple web service. Select the logic: “auth_logic_negative = yes” means that the system will only shut down in case it gets the shutdown command from the web server. 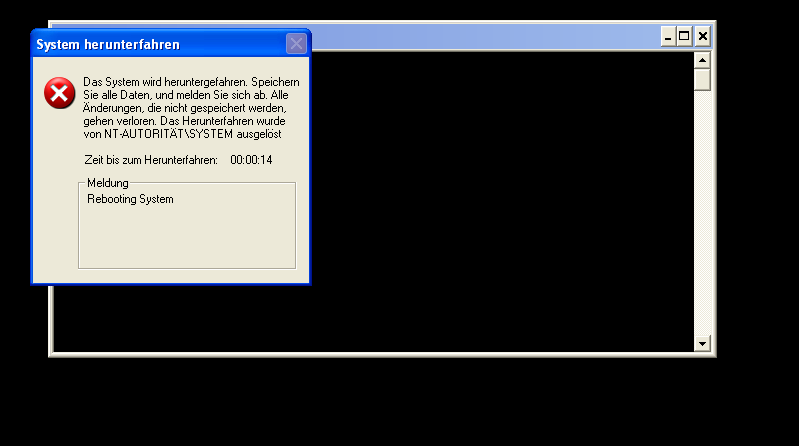 In case it is not found, the system will not shut down – this will also happen in case the web server is down, the PC has no network link etc. In case “auth_logic_negative = no” means that the system will shut down unless the positive string, e.g. “OPEN” is received from the server. The second case is more secure, however, if something goes wrong you will have trouble unlocking your PC again. 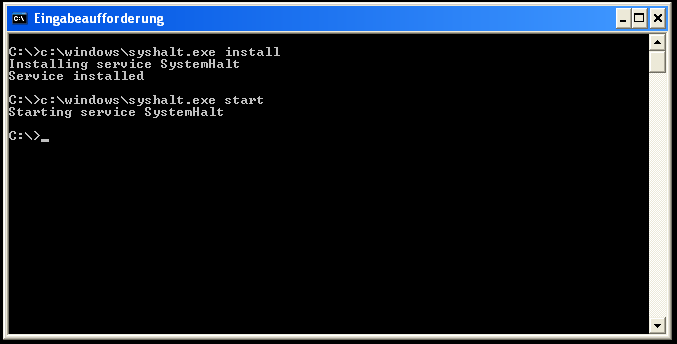 Via “reboot_msg” you can set some custom string that is displayed to the user when the system shuts down. It will moreover make sense to enable the service automatically during startup, which can be easily set in the Windows service manager. The service is written in Python and the source code is relatively simple.